Read pricing, features, and a review for the Lorex 1080p HD Analog Camera With Night Vision. 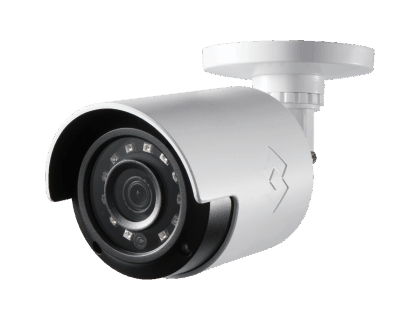 The Lorex 1080p HD Analog Camera With Night Vision is a security camera system from Lorex. It boasts a night vision range of up to 130 ft. and an 89-degree field of view. Pros: Easy to install with good color and night vision. Cons: Customer service not always responsive. Bottomline: A good camera system with great picture quality. Vandal-resistant with cable pass-through bracket and durable Polycarbonate construction; Split glass minimizes IR reflection. What are some alternatives to the Lorex 1080p HD Analog Camera With Night Vision? Where can I buy the Lorex 1080p HD Analog Camera With Night Vision? The Lorex 1080p HD Analog Camera With Night Vision is available on Amazon and on the Lorex website. What Night Vision features does the Lorex 1080p HD Analog Camera With Night Vision have? The camera has a maximum range of up to 130 ft. at night with infrared LEDs that provide high-quality imagery in the dark. Can the Lorex 1080p HD Analog Camera With Night Vision be used in any weather?